The final test ahead of the 2018 FIFA World Cup in Russia will see Germany face Saudi Arabia. With Germany failing to win in any of their last five matches (three draws and two defeats) there has now been some talk about the die Mannschaft possibly facing a mini-crisis just ahead of the World Cup. In reality, the five results in the friendlies will have no bearing whatsoever ahead of the tournament. 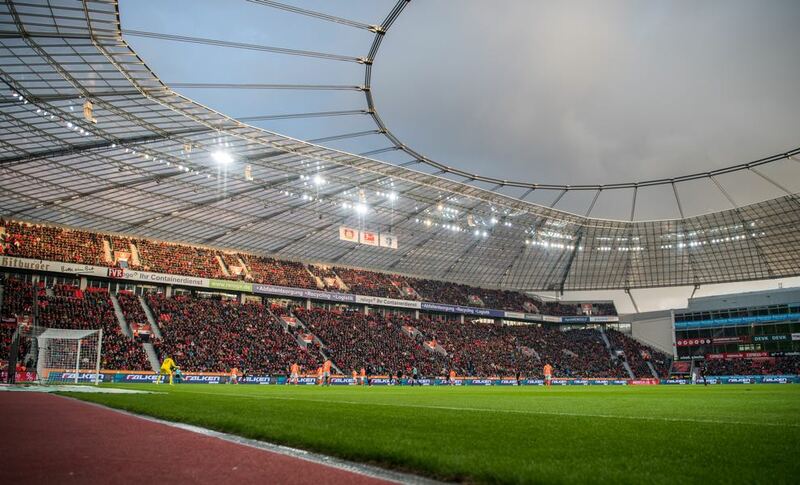 Germany traditionally perform poorly in friendlies, which is mostly due to national team head coach Joachim Löw’s tinkering ahead of big tournaments. Furthermore, the latest defeat against Austria – Germany’s first goose egg against the neighbour to the south since 1986 – has to be seen in the context of Germany’s preparation ahead of the tournament, which saw die Mannschaft heavily focus on conditional training in what will be a gruelling tournament in Russia. Now with the tournament just days away – Germany will pivotal the tournament in ten days on June 17 in Moscow against Mexico – die Mannschaft will want to show that they are now in form to take on the world’s best. Furthermore, with the final squad selection in the books, the match against Saudi Arabia could give some hints on who will start in the first game against Mexico. At the same time, however, expect some minor tinkering by the Bundestrainer. 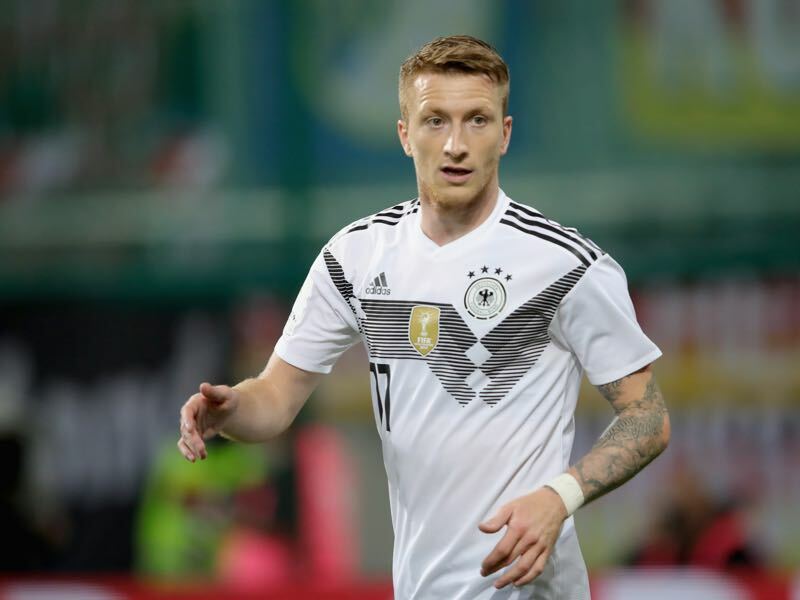 Löw will want to see whether the likes of centre-back Antonio Rüdiger and attacking midfielders Julian Draxler, as well as Marco Reus, are ready to start for Germany. Draxler and Reus, in particular, will be challenging one-another for the starting role on the left-wing. Up front, Timo Werner and Mario Gomez will be in the spotlight on who will start as the traditional number nine. It is likely that Löw will play both at one point in the match to see how the attacking line-up changes with one or the other playing in the eleven. As for Saudi Arabia – the Green Falcons have struggled throughout their World Cup preparations. Their latest 3-0 defeat to Peru shows that the side has significant shortcomings when it comes to competing against top teams from Europe and South America. At the same time, like it is the case for Germany, those results have to be seen in the light of World Cup preparations. Saudi Arabia will open the tournament on June 14, against Russia – the first side from Asia to have that honour – and the game against the Sbornaya will be a key match to determine whether Saudi Arabia have any chance to advance out of the group stage. 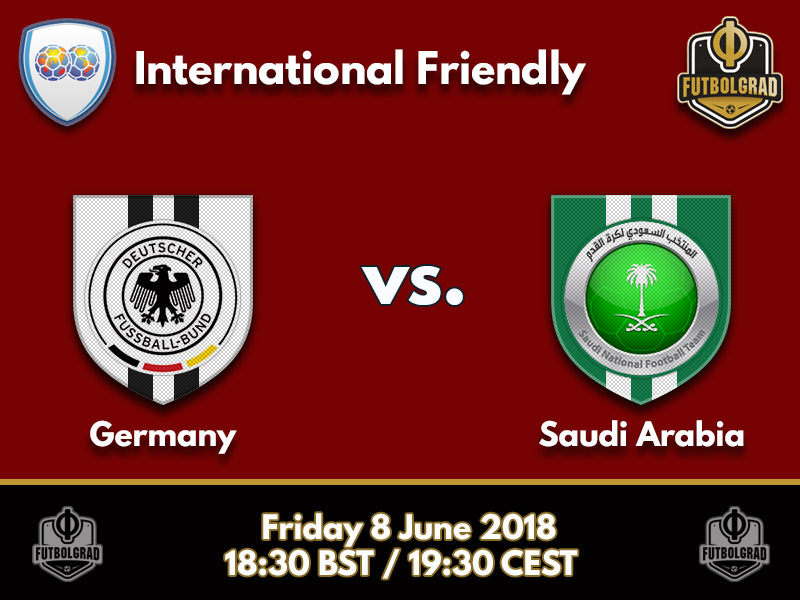 Meanwhile, Germany will remember their last match against Saudi Arabia at a World Cup. Die Mannschaft hammered Saudi Arabia 8-0 at the 2002 FIFA World Cup with Miroslav Klose scoring three goals. Germany would later advance all the way to the final. The scoreline will likely be similar on Friday night in Leverkusen. Will he finally be able to play a major tournament for Germany? Facing Armenia four years ago Marco Reus suffered an ankle injury in Germany’s final test match ahead of the competition in Brazil. Germany would then go on to win the World Cup without one of the country’s most talented players. Reus, in fact, has the potential to be the best player on this team and when healthy is unstoppable. But injuries have hampered his career and also made him miss the 2016 European Championships two years ago. Now Joachim Löw, who calls him a rocket, will hope that no last minute injury will stop the Borussia Dortmund attacking midfielder and that Reus can finally shine on the world’s biggest stage. Mohammad Al-Sahlawi has one thing in common with Robert Lewandowski. Both managed to score 16 goals in World Cup qualifying. Eight of those goals, however, were scored against East Timor – theGreen Falcons scored 17 goals (7-0 and 10-0) in the two matches against the East Asian side. There is no doubt that Al-Sahlawi is Saudi Arabia’s best striker, but can he translate his game to facing bigger opponents like Germany? Against other top sides from Asia Al-Sahlawi has struggled only scoring once – in a 3-2 defeat to Australia. In recent friendlies against Moldova, Ukraine, Belgium, Algeria, Greece and Peru – he was left out of the friendly against Italy – Al-Sahlawi was left without a goal. Will that change against Germany? Germany have a 100% record from their three games against Saudi Arabia, winning each with an aggregate score of 17-0. Mohammad Al-Sahlawi was Saudi Arabia’s top scorer in World Cup qualifying with 16 goals. Germany have been without a win in five matches (all friendlies).